To describe how stakeholders involved in intimate partner violence prevention and treatment at different levels of the Social Ecological Model view accountability in relationship to the key actors at various levels in the intervention process and their role in addressing future incidence of IPV. We conducted 36 in-depth qualitative interviews with BIP facilitators, IPV advocates, socio-judicial officials, and local and state policy makers. Participants were recruited via snowball sampling and interviews were audiorecorded, transcribed verbatim, and coded in ATLAS.ti. Interviews broadly explored the challenges and best practices in facilitating BIPs, as well as perceptions on the etiology of IPV. The current analysis focuses on participant views related to accountability, and the role that various groups and institutions have in addressing IPV perpetration. Interview participants emphasized a multi-systems level approach to addressing IPV, one that required the responsibility of both programs and judicial systems in establishing IPV as a serious crime, and stressed the need to ensure accountability across all relevant stakeholders engaged in the broader scope of IPV intervention. In order to have a sustainable impact on IPV perpetration, stakeholders across the Social Ecological Model will need to utilize crucial intervention periods using a standardized response to improve outcomes for IPV survivors, perpetrators, families and communities. Accountability. (2018). In Merriam-Webster.com. Retrieved from https://www.merriam-webster.com/dictionary/accountability. Accessed 14 Jan 2019. Centers for Disease Control and Prevention. (2018). The social ecological model: A framework for prevention. Retrieved from https://www.cdc.gov/violenceprevention/overview/social-ecologicalmodel.html. Accessed 14 Jan 2019. Department of Health and Human Services, Centers for Disease Control and Prevention. National Center for Injury Prevention and Control, Division of Violence Prevention. (2002). The Social Ecological Model: A Framework for Violence Prevention. (Pub. No. CS221239A) Retrieved from: http://www.cdc.gov/violenceprevention/pdf/SEM_Framewrk-a.pdf. Accessed 14 Jan 2019. Domestic Violence Death Review Committee. (2016). Domestic violence death review committee: 2016 annual report. Office of the Chief Coroner, Province of Ontario. Retrieved from: https://www.mcscs.jus.gov.on.ca/sites/default/files/content/mcscs/docs/2016%20DVDRC%20Annual%20Report%20Accessible%20%28ENGLISH%29.pdf. Accessed 09 Jan 2019. Ferraro, K.J. (2017). Current research on batterer intervention programs and implications for policy. Battered Women’s justice project. Retrieved from: https://www.bwjp.org/assets/batterer-intervention-paper-final.pdf. Accessed 09 Jan 2019. Holtrop, K., Scott, J. C., Parra-Cardona, J. R., Smith, S. M., Schmittel, E., & Larance, L. Y. (2015). Exploring factors that contribute to positive change in a diverse, group-based male batterer intervention program using qualitative data to inform implementation and adaptation efforts. Journal of Interpersonal Violence, 0886260515588535. https://doi.org/10.1177/0886260515588535. Mederos, F. (2004). 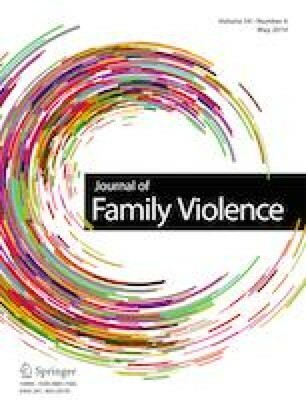 Accountability and connection with abusive men: A new child protection response to increasing family safety. Family Violence Prevention Fund. Retrieved from https://www.thegreenbook.info/documents/Accountability.pdf. Accessed 09 Jan 2019. National Council of Juvenile and Family Court Judges. (2011). Checklist to promote perpetrator accountability in dependency cases involving domestic violence. Retrieved from http://ncjfcj.org/sites/default/files/checklist-to-promote-accountability_.pdf. Accessed 09 Jan 2019. United States National Institute of Justice, Office of Justice Programs. (2011). Domestic Violence Courts. Retrieved from: http://www.nij.gov/topics/courts/domestic-violence-courts/pages/welcome.aspx. Accessed 20 Dec 2017.